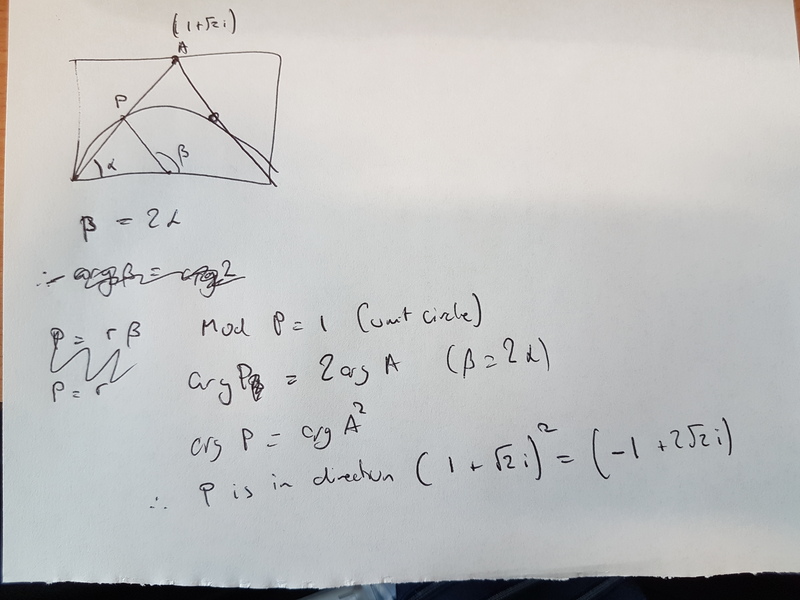 Yesterday I wrote this post looking at a nice puzzle I’d seen and how I solved it. After I published my previous post I wondered if I may have been better using a vector approach or a coordinate geometry approach. So I gave them a try. I started by sketching the figure against an axis. 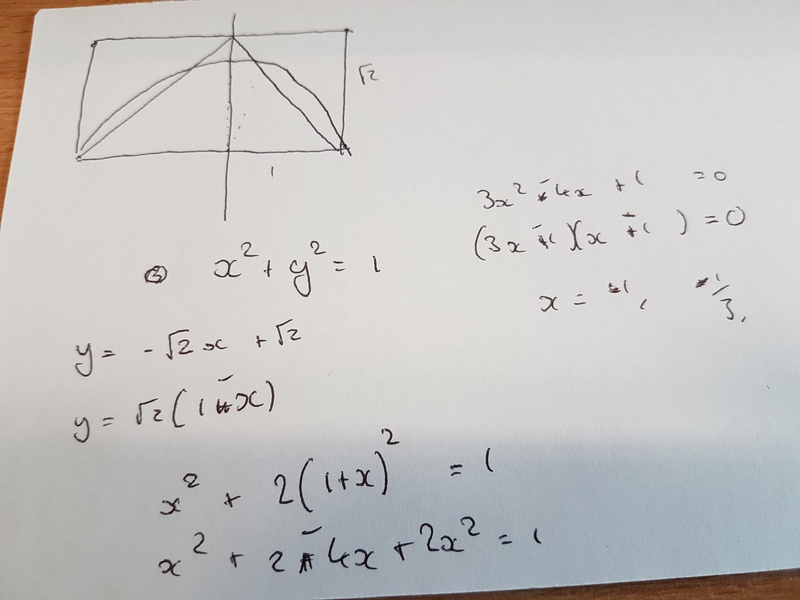 I place the origin at the centre of the circle, worked out the equation if the circle and the right leg of the triangle and solved simultaneously for x. 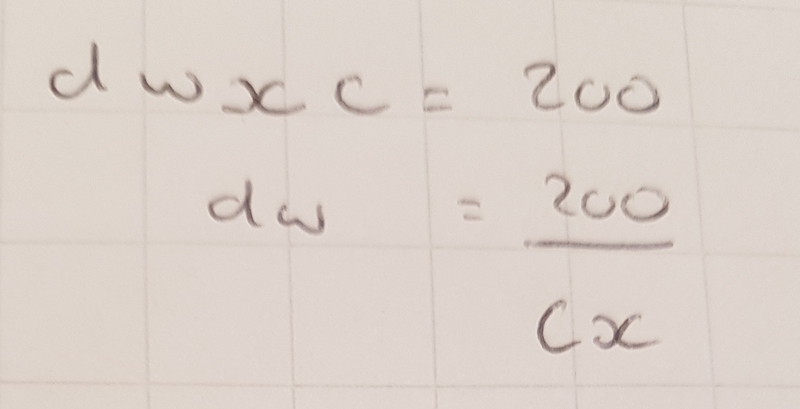 Giving x =1 and x=1/3. These x values correspond to half the base of each triangle, which shows the scale factor from the large triangle to the small one is 1/3. 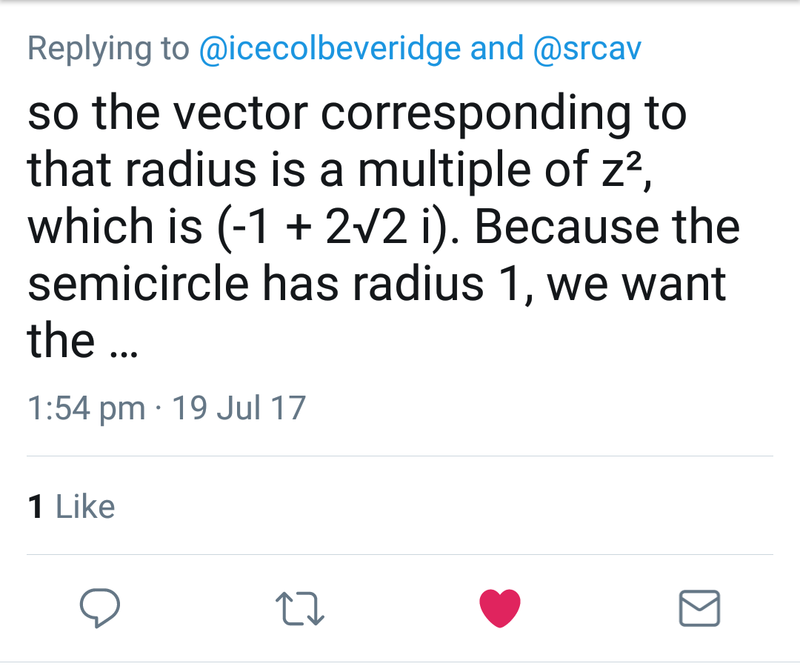 As the area of the large one is rt2 this gives the area of the small as rt2/9. I like this method, probably a little better than the one prior to it. First I sketched it out and reasoned I could work it out easy enough with 4 vectors. 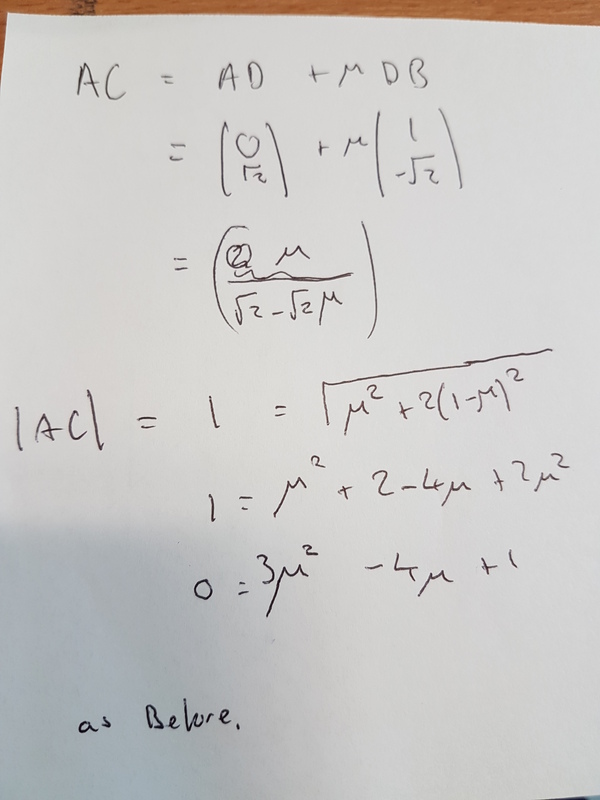 I knew that the length of AC was 1 so I used Pythagoras’s Theorem to calculate mu. 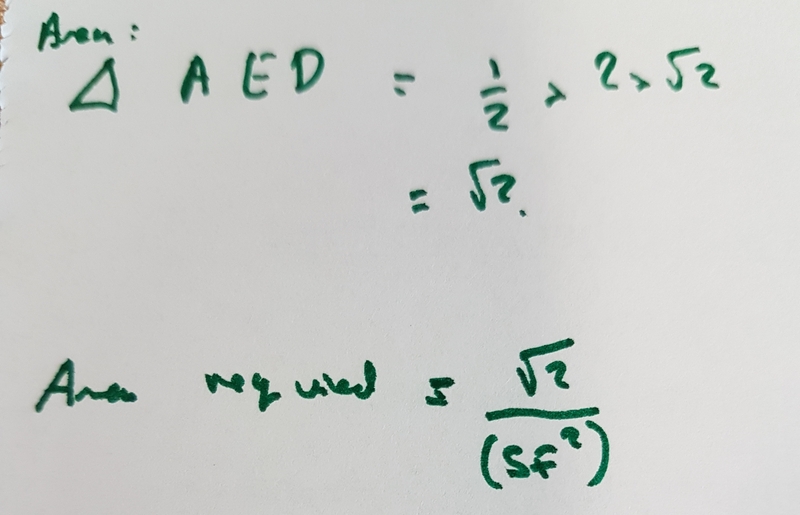 It left me with the exact same quadratic to solve. This time mu was the fraction of DB needed so was automatically the length scale factor. The rest falls out as it did before. This is again the scale factor as it is half the base of the small triangle and the base if large triangle is 2. And then saw where Colin was going. I tried to work it through, by way of explaining here in a better manner. 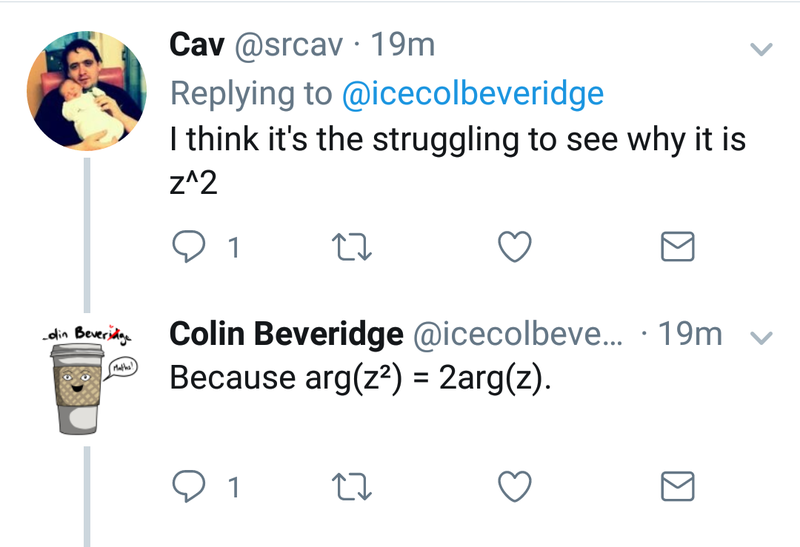 I am happy that is is valid, and that it shows Colin is right, but I’m not entirely sure this as the exact method Colin was meaning. He has promised a blog on the subject so I will add a link when it comes. I like all these methods. I dontvthink I would have though of Colin’s methods myself though. I’d love to hear another methods you see. The puzzle looked grand. Thanks to those people that tweeted at me to make sure if seen it, it’s much appreciated. But soon realised that it’s impossible unless you make assumptions. 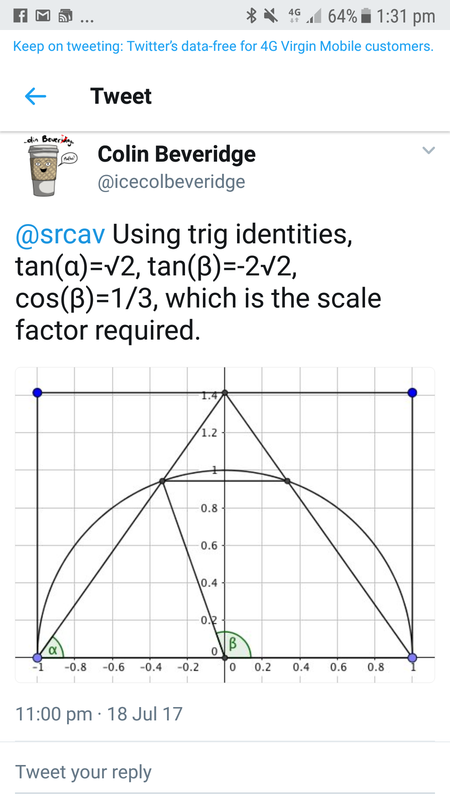 My initial thought was to use right angled trigonometry, but I realised I’d probably need to approximate or use some maths software and that would take a bit of the fun out of it. I presumed I’d be able to find an exact answer in a better way. I realised the big triangle and the green triangle were similar and I could easily work out the area of the big triangle. I then realised I didn’t have the scale factor. I went back to rats. Using similarity I found the “base” of DFG and used that to find length EG. 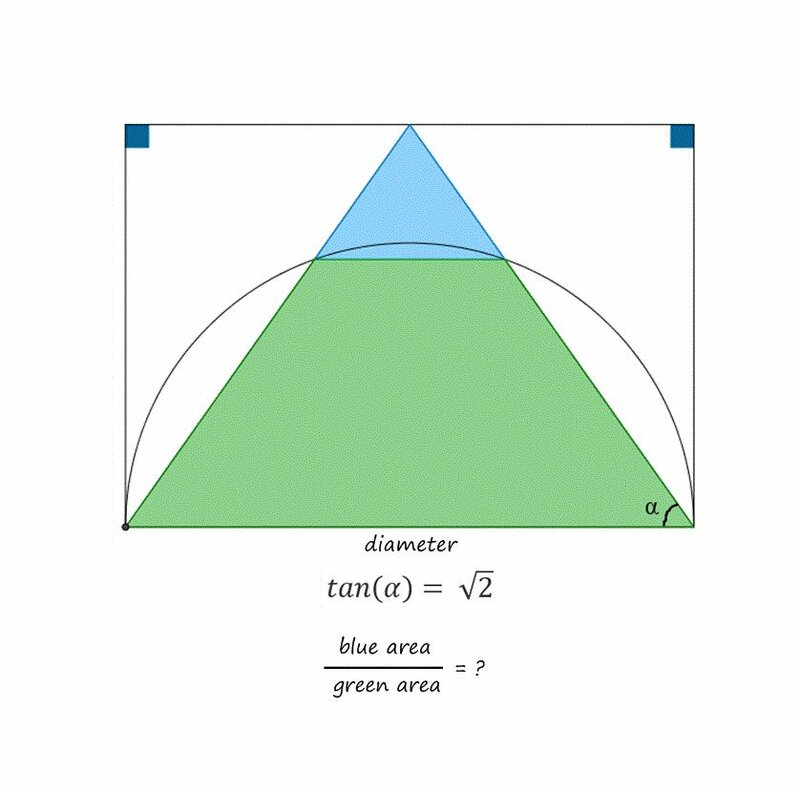 Thus giving me a scale factor between the blue and the green triangle. 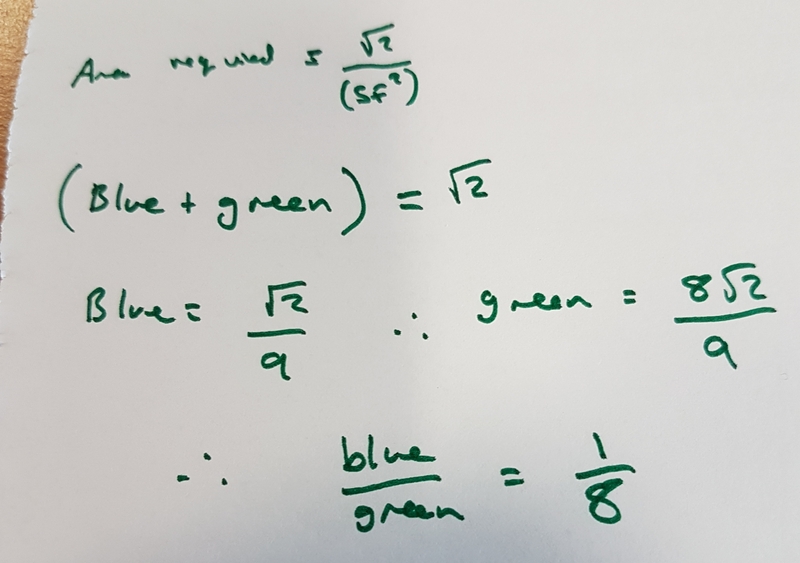 As mentioned previously I knew that rt2/(SF^2) was the green area so using the scale factor of 3 I got the required area to be rt2/9. Used Pythagoras’s Theorem to find the peep height and found the area that way. Luckily I got the same answer. I love this puzzle, and I hope to use it in my classes next year. I may give it to year 12 tomorrow and see if they can crack it. I think I prefer the second variation. I’d love to hear your thoughts on it, and how you solved it. Let me know in the comments or via social media. Recently I read a blog entitled “The understanding paradox” (William, 2017) which discussed the idea of maths teaching and put forward the idea that actually, it is better to bypass understanding when first teaching a topic and then fill that understanding in later. 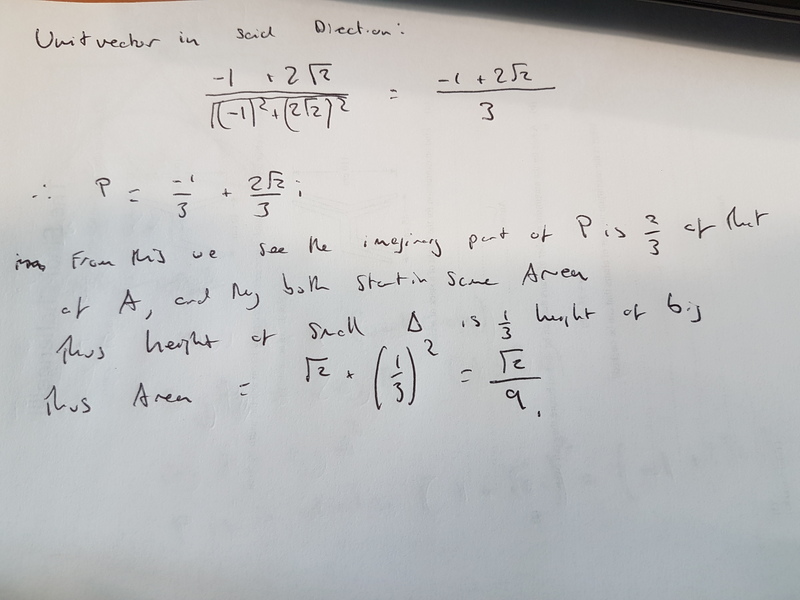 This was then applied to the teaching of right angled triangle trigonometry in an example that I found confusing to say the least. 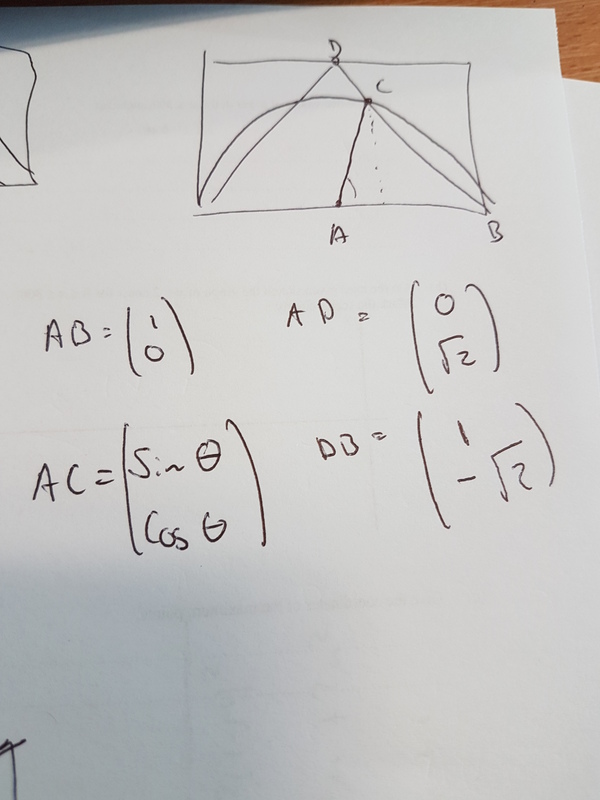 The author, Rufus William, suggested that when teaching trig for the first time we should be solely teaching procedurally using SOHCAHTOA as a mnemonic, but then went on to say we shouldn’t be discussing ratio or similarity and how that links until later on. This confused me as the mnemonic SOHCAHTOA is designed to help you remember the trig ratios. I.e. Sine is the ratio of the opposite side over the hypotenuse. 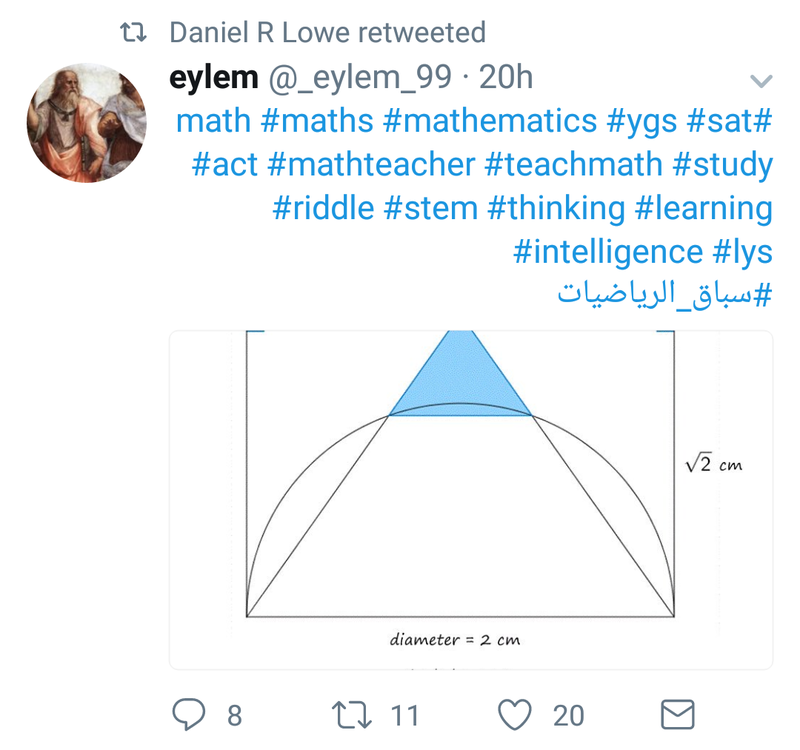 Just by teaching that you ARE teaching the trig ratios and purely by the fact that you are teaching the students that this will work for all right angled triangles you are telling the students that the ratios are the same for any triangle with the same angle no matter what the length of the sides are. THIS IS THE VERY DEFINITION OF SIMILAR TRIANGLES. This perplexed me a lot and I spent a lot of time thinking about it and asking the author to elaborate on what he meant. The only way I can fathom to teach this without reference to ratio and similarity would be to say: ” “SOHCAHTOA” it gives you 3 triangles. Label the sides circle them to see which triangle you use. Put numbers in, cover the missing one, its either a divide or a times”. To me this seems like a backwards way to go about things. It feels like you are teaching them unnecessary procedures to avoid discussing the underlying concepts of trigonometry, and it doesn’t really make sense to me. 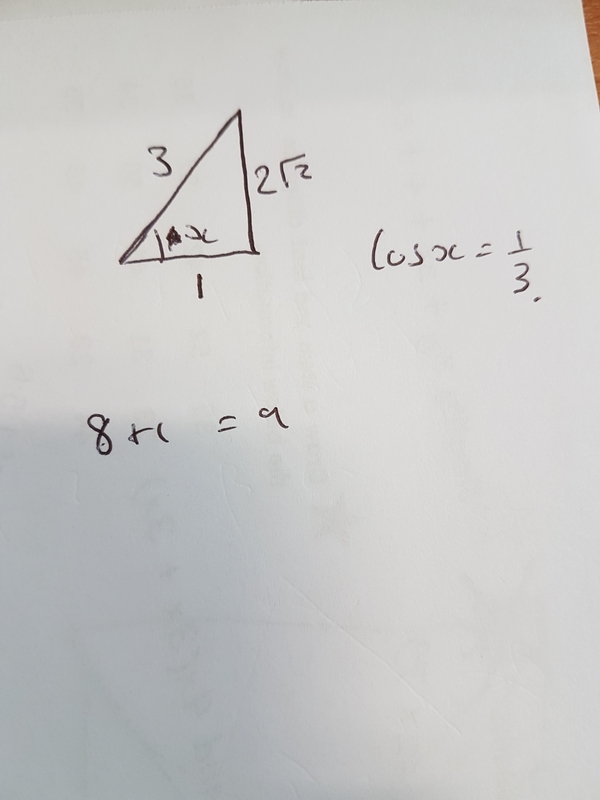 I find that by the time students reach right angled triangle trigonometry they have already met the concept of similarity, I like to use this a way in to discussing the topic and to show that ratio of two sides that are the same in relation to an angle will be the same for all similar triangles. Students will have always encountered simplifying fractions before they meet trig and as such can see why this is. 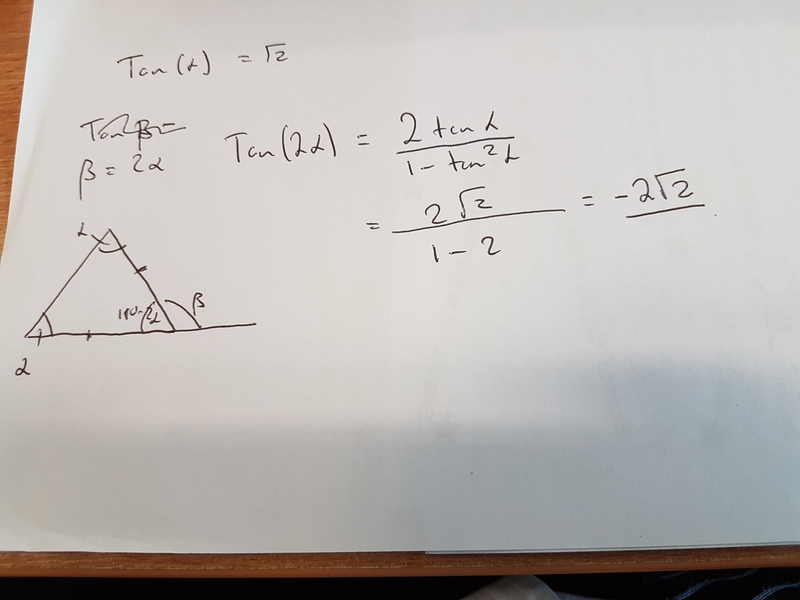 This is when I specifically discuss the sine, cosine and tangent ratios and introduce the procedural manner in which they can solve the problems, although I do avoid the dreaded formula triangles (for many reasons which I have blogged about here). I will show them some common mnemonics, and SOHCAHTOA is one of them. I’m not a fan of mnemonics personally, I’ve never found them that useful except for musical ones, but I know a lot of people do. Rufus does make some salient points in his post about teachers who refuse to allow students to memorise things and the dangers this will have on learning. Although I’m not entirely sure that they exist, and if they do I certainly don’t think there are many of them. I’ve certainly never met any. He also suggests that students cannot have a full understanding of the ins and outs of trigonometry when they first meet it. 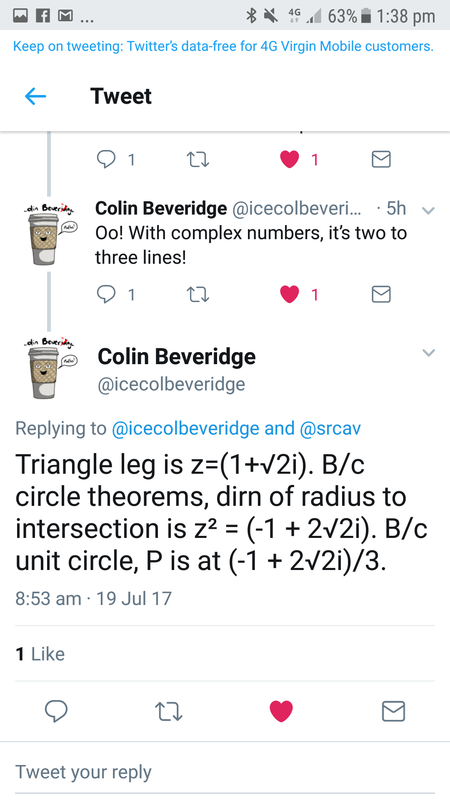 I would very much agree with him in that respect, I know many people who have taught trigonometry for decades and still don’t, but I don’t think that means we have to bypass all information. Recently I wrote this post (2017) that highlights various ways that I can see group work being of benefit to students study in mathematics. In the post I allude to there being many issues around group work that can have a detrimental effect on the learning of the students and I intend to explore them a little further here. The benefits of group work can be vast, and are often tied to the discussion around the mathematics involved in a way consistent with the writings of Hodgen and Marshall (2005), Mortimer and Scott (2003), Piaget (1970), Simmons (1993), Skemp (1987) and Vygotsky (1962) amongst others. These perceived benefits give the students a chance to try things, make mistakes, bounce ideas around and then find their way through together. Seeing the links between the things they know and its application within new contexts or the links between different areas of maths. Good et al. (1992) warn that group work can reinforce and perpetuate misconceptions. This is an idea that is also expressed by von Duyke and Matsov (2015) who feel that the teacher should be able to step in and correct any misconceptions that the students express, although this would be difficult in a classroom where a number of groups are working simultaneously and it also goes against the feelings expressed by some researchers, such as Pearcy (2015), that students should be allowed to get stuck and not receive hints. This is a tricky one to balance. As teachers we clearly do not want misconceptions becoming embedded within the minds of our students, but we do want to allow them time to struggle and to really get to grips with the maths. I try to circulate and address misconceptions when they arise but in a manner that allows students to see why they are wrong, but not give them the correct answer. Another potential pitfall of group work is related to student confidence. Some students worry about being wrong and as such will not speak up. This is an issue that transcends group work and that we need to be aware of in all our lessons and is discussed at length in “inside the black box” (Black and Wiliam, 1998). It is part of our jobs as teachers to create an environment where students do not fear this, and are comfortable with talking without fear of being laughed at. I try to create a culture where students know it’s better to try and be wrong than not to try at all. This classroom culture is discussed by Hattie (2002) as an “optimal classroom climate” and it is certainly a good aim for all classrooms. The other main downside to group work is behaviour related (Good et al., 1992). Group work can be more difficult to police, and it can become difficult to check that everyone is involved if you have a large class that is split into many groups. This can give rise to the phenomenon known as “Social Loafing”, which is where some members of the group will opt out in order to have an easy ride as they feel other group members will take on their work as well (Karau and Williams, 1993). This is something that teachers need to consider and be wary of. The risk of these issues having a negative impact on learning can vary wildly from class to class and from teacher to teacher. I would advise that any teacher who is considering group work needs to seriously consider the potential for poor behaviour and social loafing to negatively impact the lesson and to think about how they ensure it doesn’t. Different things work for different people. Some people assign roles etc. to groups. Some set up a structure where students can “buy” help from the teacher or other groups. Often a competitive element is introduced. All of these can be effect or not, again depending on the class and on the teacher so it is something we need to work on individually. I’ve written before about one method I’ve had some success with here (2013). So there are some of the worries around group work and thoughts on what needs to be considered when embarking on it. As mentioned in my previous post, I feel that group work is an inefficient way to introduce new concepts and new learning, but I do see it as something that can be very effective when building problems solving skills and looking at linking areas of mathematics together. What are your thoughts on group work? And what are your thoughts on the issues mentioned in the article? I’d love to hear them via the comments or on social media. Black, P. and Wiliam, D. 1998. Inside the black box: Raising standards through classroom assessment. London: School of Education, King’s College London. Good, T.L., McCaslin, M. and Reys, B.J. 1993. Investigating work groups to promote problem-solving in mathematics. In: Brophy, J. ed. Advances in research on teaching: Planning and managing learning tasks and activities. United Kingdom: JAI Press. Hattie, J. 2012. Visible learning for teachers: Maximizing impact on learning. Abingdon: Routledge. Hodgen, J. and Marshall, B. 2005. Assessment for learning in English and mathematics: A comparison. Curriculum Journal. 16(2), pp.153–176. Karau, S.J. and Williams, K.D. 1993. Social loafing: A meta-analytic review and theoretical integration. Journal of Personality and Social Psychology. 65(4), pp.681–706. Mortimer, E. and Scott, P. 2003. Meaning making in secondary science classrooms. Maidenhead: Open University Press. Pearcy, D. 2015. Reflections on patient problem solving. Mathematics Teaching. 247, pp.39–40. Piaget, J. 1970. Genetic epistemology. 2nd ed. New York: New York, Columbia University Press, 1970. Simmons, M. 1993. The effective teaching of mathematics. Harlow: Longman. Skemp, R.R. 1987. The psychology of learning mathematics. United States: Lawrence Erlbaum Associates. von Duyke, K. and Matusov, E. 2015. Flowery math: A case for heterodiscoursia in mathematics problems solving in recognition of students’ authorial agency. Pedagogies: An International Journal. 11(1), pp.1–21. Vygotsky, L.S. 1962. Thought and language. Cambridge, MA: M.I.T. Press, Massachusetts Institute of Technology. Student led learning seems to be a bit of a hot topic at the moment. I’ve seen these two graphics making the rounds on twitter, I can’t find them now, but one was a slide proclaiming why student led learning was better and one was the same slide but altered to say it was worse. This of course came with great debate from all quarters. It is also certainly a much talked about issue in the teaching and learning meetings we are having in my school. This morning we had a great presentation from a food tech colleague who described a fantastic lesson where students had been allowed to lead their own learning on the function of eggs in cooking. A number of different recipes had been provided (as diverse as Egg Custard and Chick Pea Burgers) and students were given the choice as to what to cook and asked to investigate. 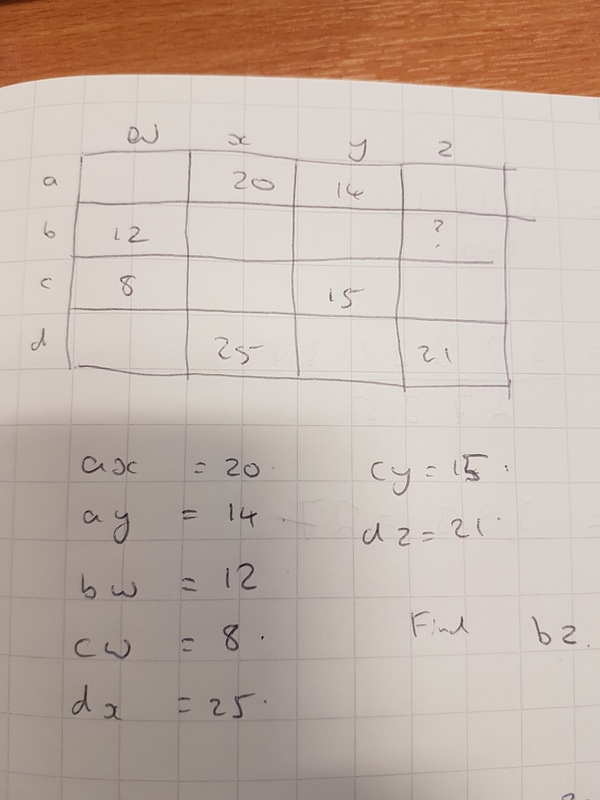 This was an area that interested me and my dissertation focus was using group work and other problem solving ideas to deepen conceptual understanding at A Level maths. I found that with my cohort explicitly teaching problem solving approaches and then setting problems that required a variety of approaches to be solved in groups to be effective. Some real success was had when I used problems I had not encountered and as such was able to act like a member of the group while bouncing ideas around. 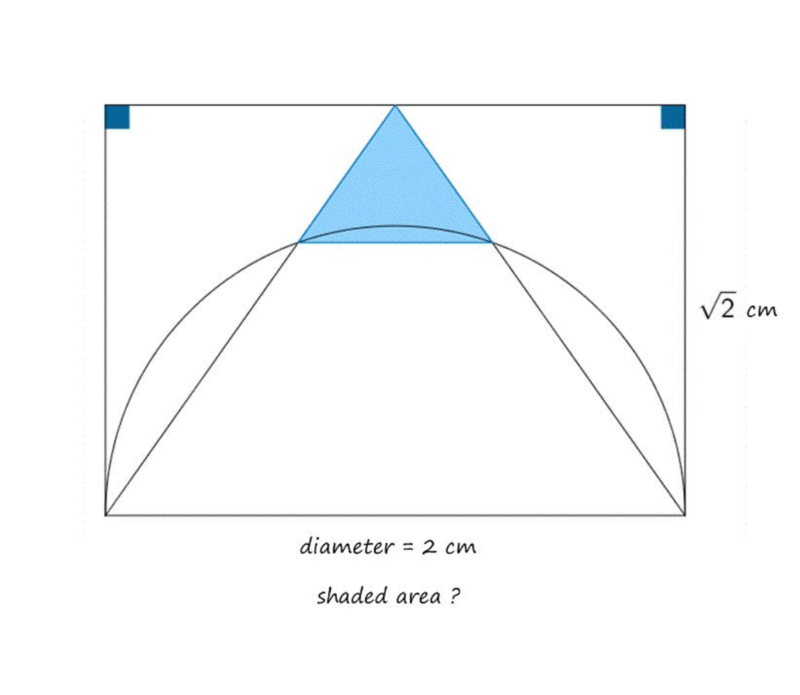 In the new maths GCSE we are seeing questions that are focussed on testing a deeper understanding using problems that require thinking about and often require a number of mathematical techniques to solve. This is a move away from predictable questions and as such, teaching methods aimed at giving algorithms to students to solve types of questions will no longer work. One simple example is questions based on ratio. Previously ratio questions usually took one of two forms, use a ratio to scale up a recipe or split this amount into this ration. 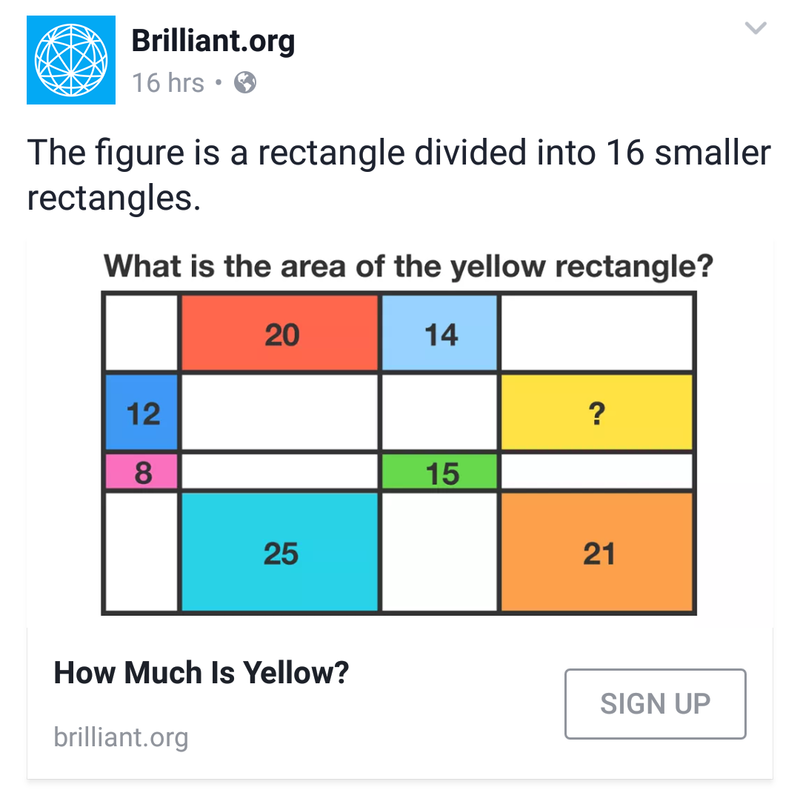 Both are easily solvable by an algorithm and I’ve seen this taught this was and correct answers given by students who don’t really know what a ratio is. Now we are seeing ratio questions that include other areas of maths, such as densities, as well as questions where the language is quite important and a better understanding of what is going on is required. i.e. 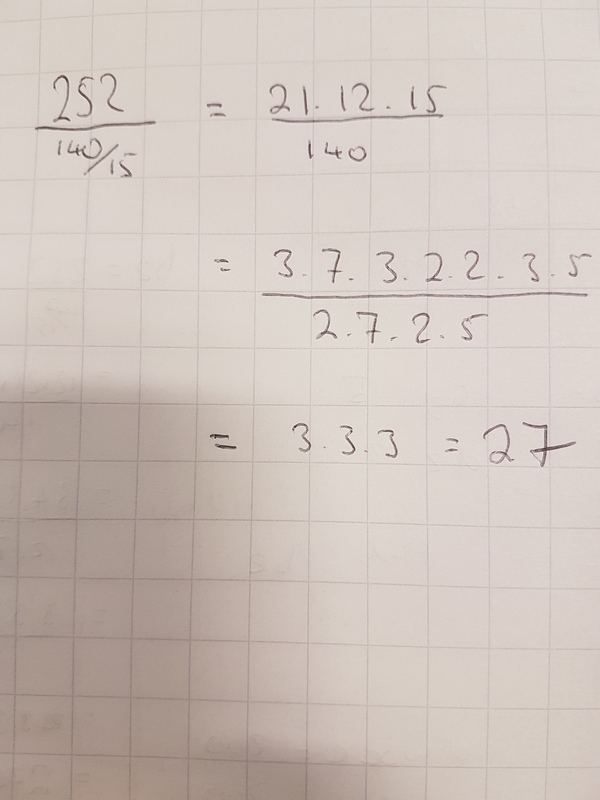 A student who is taught, “When you see a ratio you add, divide then multiply”, will get full marks on a question asking “Sana and Jo split £110 pounds in the ratio 6:5, how much does Sana get?” but may get nothing if the question asks: “Fred and Nigel split some money in the ratio 6:5, Fred gets £10 more than Nigel. How much does Nigel get?” Even though there is a comparable level of mathematics used. This, I feel, is where group work / “student led learning” could be very effective in maths teaching. Once content has been taught students need to practice that content in new setting and to mix it up with other content that has been learned. Tasks need to be set and students need to be given adequate time to get stuck and struggle. This will build resilience and problem solving skills as well as allowing students to see where various strands of maths can be applied. I hope to write more about this in the coming weeks as I look to further apply the findings of my dissertation to KS3 and 4. My thoughts at the moment are that this “student led” approaches are good for the development of these skills once the core content has already been taught. There are, of course, many draw backs to group work and other student led approaches, but they are for another post for another day. Avital, S.M. and Shettleworth, S.J. 1968. Objectives for mathematics learning; some ideas for the teacher. Toronto: Ontario Institute for Studies in Education. Davis, R.B. 1984. Learning mathematics: The cognitive science approach to mathematics education. London: Croom Helm. English, L.D. and Halford, G.S. 1995. Mathematics education: Models and processes. New Jersey, United States: Lawrence Erlbaum Associates. Hembree, R. 1992. Experiments and relational studies in problem solving: a meta analysis. Journal for research in mathematics education. 33(3), pp.242–273. Karp, A. 2004. Conducting Research and Solving Problems: The Russian Experience of Inservice Training. In: Watanabe, T. and Thompson, D. eds. The Work of Mathematics Teacher Educators. Exchanging Ideas for Effective Practice. Raleigh, NC: AMTE, pp.35–48. Silver, E.A. and Marshall, S.P. 1990. Mathematical and scientific problem solving: Findings, issues and instructional implications. In: Jones, B.F. and Idol, L. eds. Dimensions of thinking and cognitive instruction. Hilsdale, New Jersey, United States: Lawrence Erlbaum Associates, pp.265–290. Zeitz, P. 2006. The art and craft of problem solving. USA: John Wiley. Regular readers will know that I have a tendency to collect puzzles and I like to have a go at them. This evening I had a crack at this while my daughter was playing before bed. It looked interesting when I saw it on Facebook a while ago and so I thought I’d have a crack. If you haven’t yet, do it now. I want to know if you took the same approach! 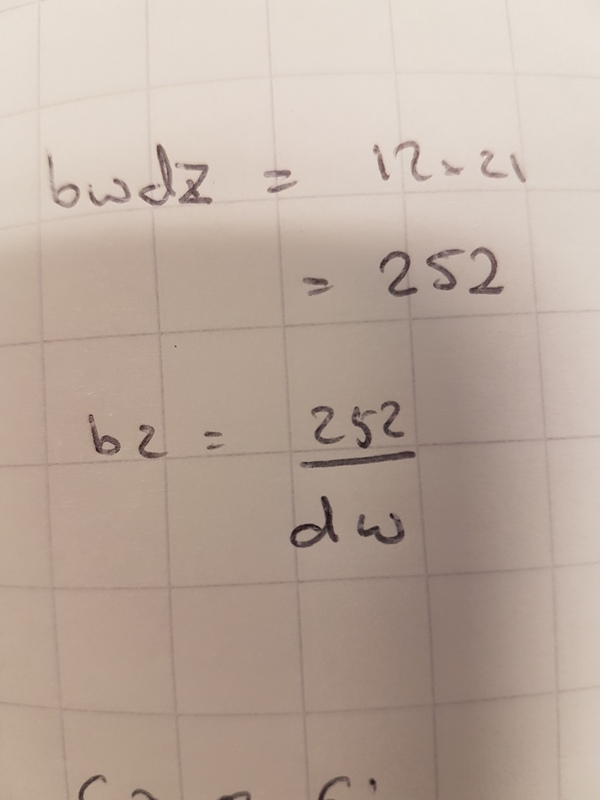 I thought 27 was a nice answer, and I’m fairly sure it’s correct, however I have a feeling that I may have missed something blindingly obvious that would have gotten me there much quicker. If you did it, I’d love to hear your approach, especially if you spotted something I missed!